A newly developed regional transit service will be serving the area. Follow the link to view details and information so you can take advantage of the service. 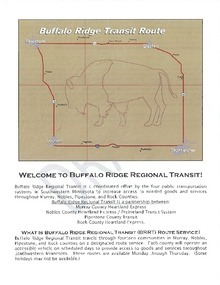 Download "buffalo ridge transit info.pdf"
Murray County News - Community newspaper covering Murray County.